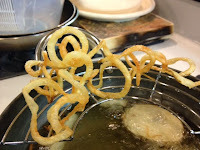 I never thought frying French Fries can be this easy. I actually kind of have given up on frying veges, but with this new gadget, cutting is simple, interesting, and fun to eat. This spiral vegetable cutter is constructed with fairly light plastic. 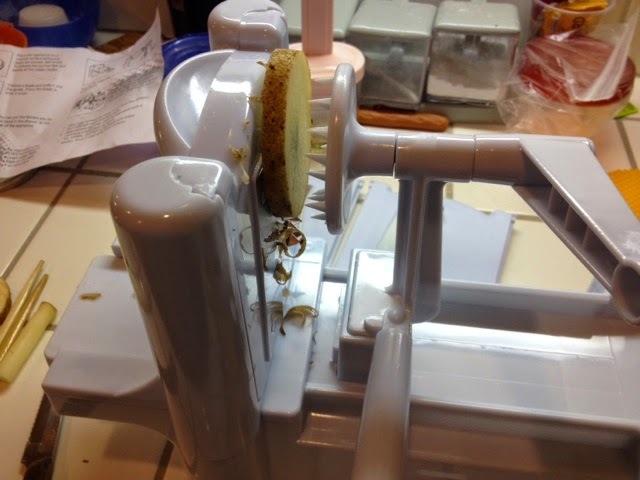 But I carefully let the blade do the slicing without much force. It did a great job. You can make all kinds of fresh vege spaghetti salad to eat. Thus far my potato chips tossed in kosher salt, paprika, and cayenne pepper is a hit. 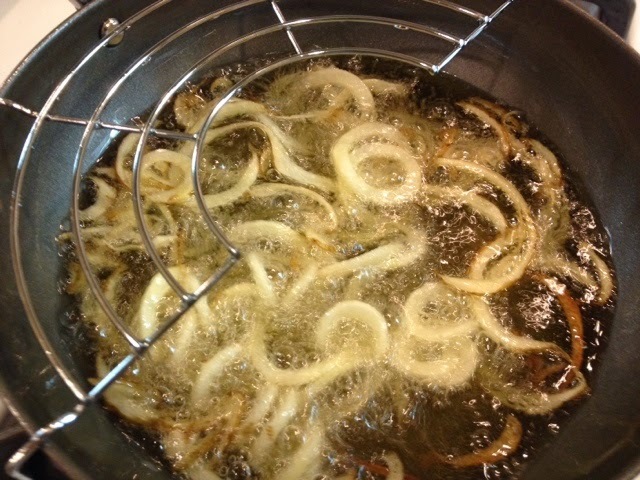 Fry for 3 to 4 minutes and take it out. 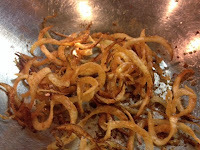 Fry the next small batch for 3 to 4 minutes, then take it out. Put the 1st batch back to fry until crisp. 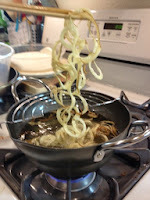 Place on rack to allow excess oil to drip back to frying NABE (pot). Then transfer to a large bowl with kosher salt, paprika, and pinch of cayenne pepper. Toss. Serve. Enjoy! Other wonderful dish it turned out are beautiful cucumber noodles, etc. 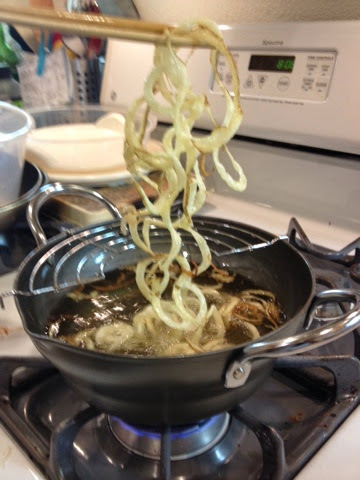 It adds the 'fun' to the cooking. After slicing, you could place the cucumbers between your palms to squeeze out the excess water. Then, add them to your favorite salad, etc. Finally found a way to make time spent blog posting easier - Mobile phone posting to this blog. The service has been available for a while, but I never got around doing it. So much to do, with so little time. And since I hate sitting down again after work to spend time blogging, this is a helpful alternative. Tonight I finally transferred my homemade Honey Mead to a bottle that it will ripe for a couple of months. 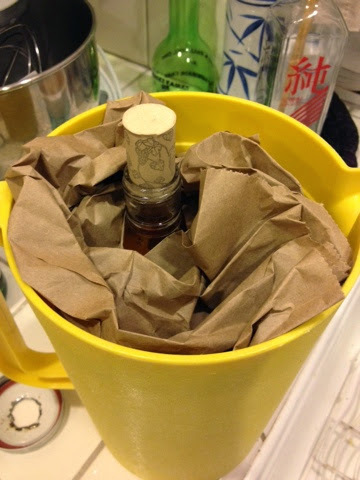 If you have made honey mead before at home, please share your experience. 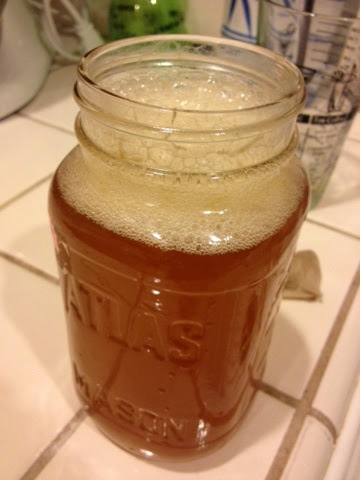 By-the-way, my honey mead does not have yeast. 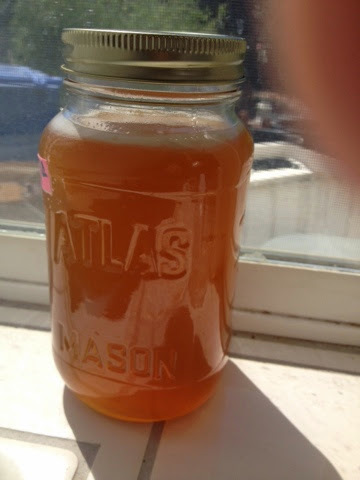 It's all natural - raw honey, water, and sunshine. After a month of fermentation, it stopped fizzling as much when stirred, it's time to bottle it. I hope it will be fantastic . Need to get right kind of bottle and cap soon though. Finally got the right bottle with flip cap. 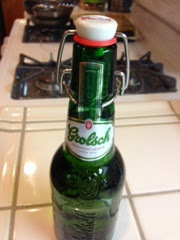 Had to drink a couple of Grolsch lager but that was okay. The bottle didn't fit all in. That was too bad, but honey mead on the rock tasted really good. In fact I think it is ready as the way it is without waiting for 2 months. 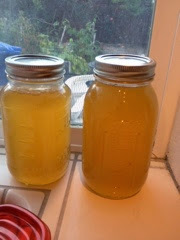 I also started the two more quarts of new honey mead. They are fizzing just fine. Can't wait to enjoy it. What to do with those extra fresh cherries? I thought of just eating them, but why not bake with them.... but I didn't have enough for cherry pie or cobbler, so I came up with Cherry Garcia. Ben & Jerry's Cherry Garcia is one of my favorite ice-cream. So, I decided to make my own recipe for the cookies. Well, this picture show them in a muffin cups. I guess it can be a muffin at the same time a cookie. 1-3/4 C butter softened and whipped to fluffy pale yellow by adding 1/2 C sugar and 1/3 C light brown sugar. Add 2 tsp Vanilla extract and 2 eggs into the butter mixture. Beat in eggs one at a time and blend until smooth. Measure pre-Shifted 1-3/4 C flour that has 1 tsp of baking powder already in it. Plus 1/4 tsp of salt. Add about 1 C of Unpit cherries, tear into halves. Add Cherries and 1 C semi-sweet chocolate chips to butter mixture. Scoop into muffin cups, if you would like to; and bake in 375'F till browned. Farm to Fermentation Festival was an eye opener. I didn't know there are so many Pickling and Fermentation enthusiasts. Tasting my way round all types of pickles and checking out the pickling and fermentation utensils were great education. 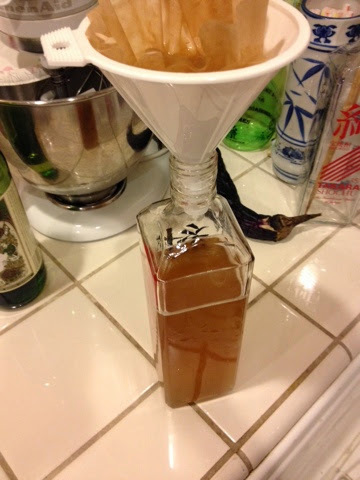 I learned from workshops how to make Honey Mead and Ginger Bugs, and UMEBOSHI or pickling with NUKA. Here is my photo journal of the festival. 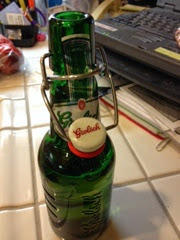 This is what Air Lock does. Hiking to Upper Yosemite Fall - "Keep Fighting!" Have you ever wonder what is at the very top of the Upper Yosemite Fall? I finally completed my hike up to the Upper Yosemite Fall. It was a very challenging hike for me. My knee was still in recovery mode, but I just couldn't pass the opportunity of the wonderful weather for this hike. What encouraged me to finish the hike that day just when I almost told myself to come back next time much earlier than 12 pm to start the hike, there was a cheerful voice and smile of a German girl who was coming down the trail telling me, "Keep Fighting!" That's what I did. Even though the waterfall has dried up compared to back in early July, the view from the Upper Yosemite Fall was just as grand and breath taking 3.2 miles should be easy on the pretty level trails, but these well maintained switchbacks were a killer for my knees. But then, I did it, and I got to see what is up there! Awesome view! next - Half Dome!? It was some adventurous hiking trip I had. I fell off the mountain bike in first 10 pedals; then, decided to hike; and tripped and got covered with dirt from head to toe after two hours into the hike. It was a challenging 8 miles hike. I was hoping to strengthen my legs since I injured my left knee, but looks it backfired. My leg was covered with gash and scrapes and knee bruise; bruise on the arm from falling off the mountain bike; and right knee bruise and nasty bruise on right hip from tripping down the trail. But it was still a good hike with beautiful lake. I wished I was wearing a swimming suite. I would have just jumped into the lake to wash off the dust that covered my face, my body, and legs.